Maybelline TattooStudio Brow Tint Pen Makeup Review: Is It the Alternative to Microblading? 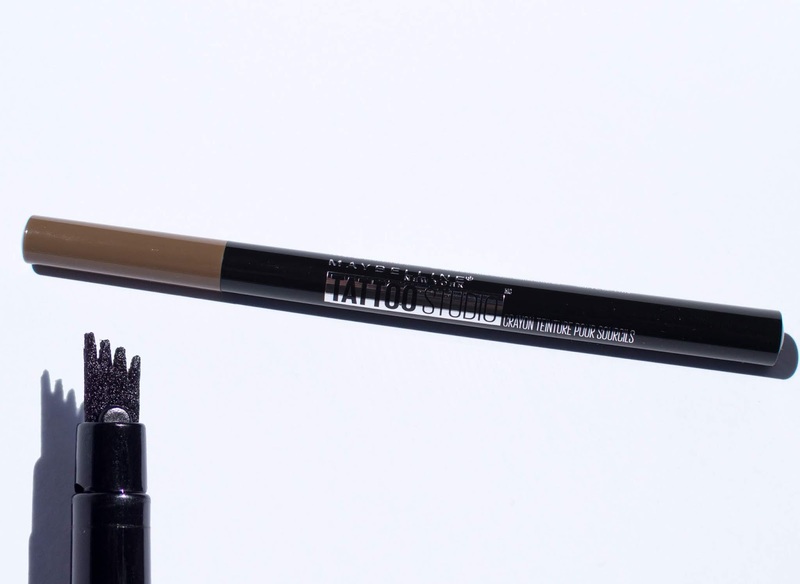 Today I have a review of the Maybelline TattooStudio Brow Tint Pen Makeup. The brow pendulum is swinging again and nowadays people are into brows that can look like they're real (which is why tattooed brows like microblading has become popular) over more "done" brows with pomade and concealer. 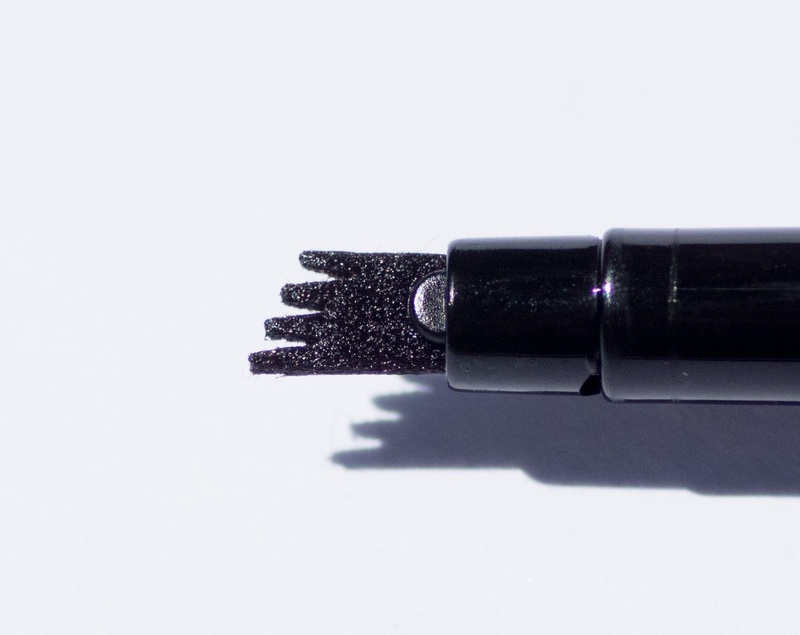 This multi-pronged brow pen is supposed to be the answer to getting naturally filled in looking brows by giving off the effect of natural hair-like strokes. Looking at this brow pen, I can't help but think of those three pronged eyeliner pens that were supposed to make eyeliner easier for beginners but ended up being more trouble than it was worth. The question is, is this a dud like its three pronged predecessor? Keep reading to hear my thoughts, see swatches, and whether I'd recommend it or not! Details/Purchasing Info: This contains 1.1mL/0.037 oz. You can purchase this at ULTA. There are four shades, Blonde, Soft Brown, Medium Brown, and Deep Brown. Packaging: This comes as a traditional pen style with a four pronged felt tip. The tips by the way aren't pointy, they have a flat surface. Application: Application is fiddly at first, it will take a few tries before you figure out how to best apply it. I found that applying in the direction of hair growth made it much easier to get the color on. You can also apply it on its side like a broader marker to deposit more color in larger spots. TattooStudio™ Brow Tint Pen Makeup fills in eyebrows with natural-looking hair-like strokes that last up to 24 hours. Achieving perfectly defined natural-looking eyebrows has never been easier! Our 1st eyebrow tinting pen features an exclusively-designed multi-prong tip that delivers the look of natural, hair-like strokes instantly. 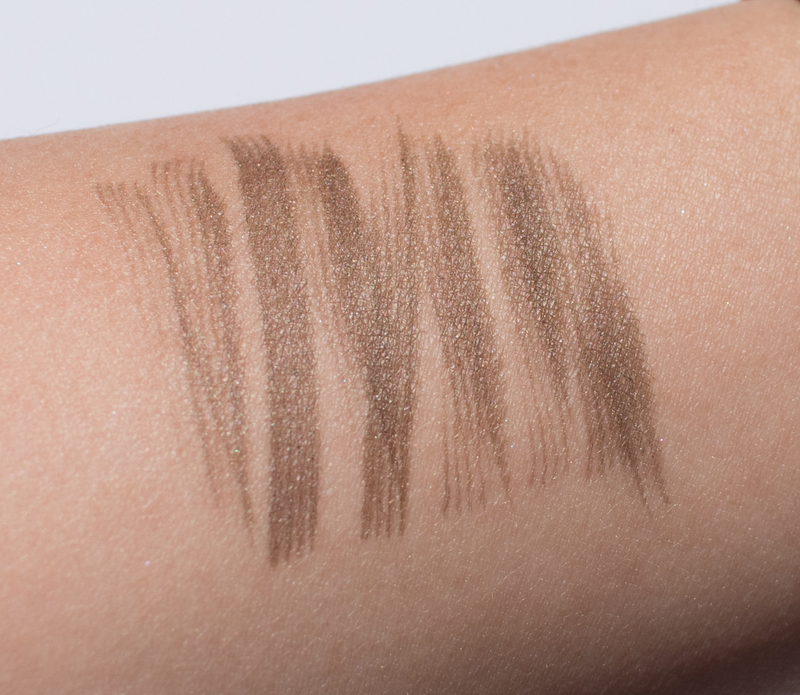 Our long-lasting formula delivers up to 24 hour wear that is smudge-proof and transfer-proof. I wanted to love this, I really did because I loved the idea of having something that could fill in my brows without being a big block of color. Unfortunately, I have issues with this pen and how it performed on my brows. I noticed that this sometimes stains my skin green. 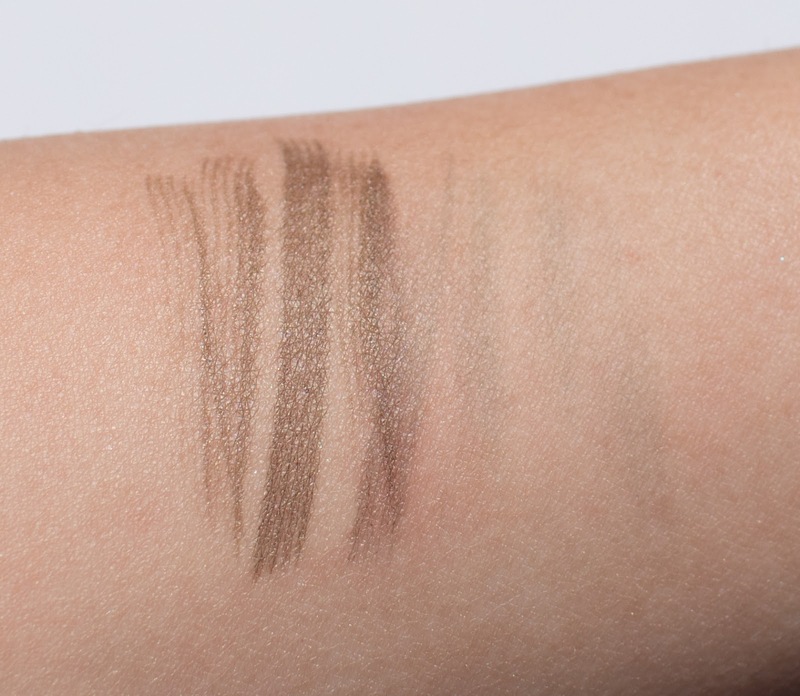 If you're someone who has to create your brow shape, you might be left with a green stain after you remove the product. It also has a tendency to settle into my hair follicles because it's a liquid, leaving my brows looking a little speckled where it's settled into the hairs. This might be because I have oily skin/enlarged pores but it is worth mentioning. Unfortunately after only a few days, I already began noticing it begin to dry out. To get enough color out, I have to press a little harder so the lines aren't as crisp as they were in the beginning. I've been trying to store it upside to help keep it juicy but it doesn't seem to be helping as much. Wear Time: It's not 100% smudge-proof/transfer-proof because as it wears on my oily skin, I can smudge away some of the product. I've also noticed that the strokes do not look as defined as the day goes on, also due to my oily skin. The color does last for about 6 hours. I got the color Deep Brown. 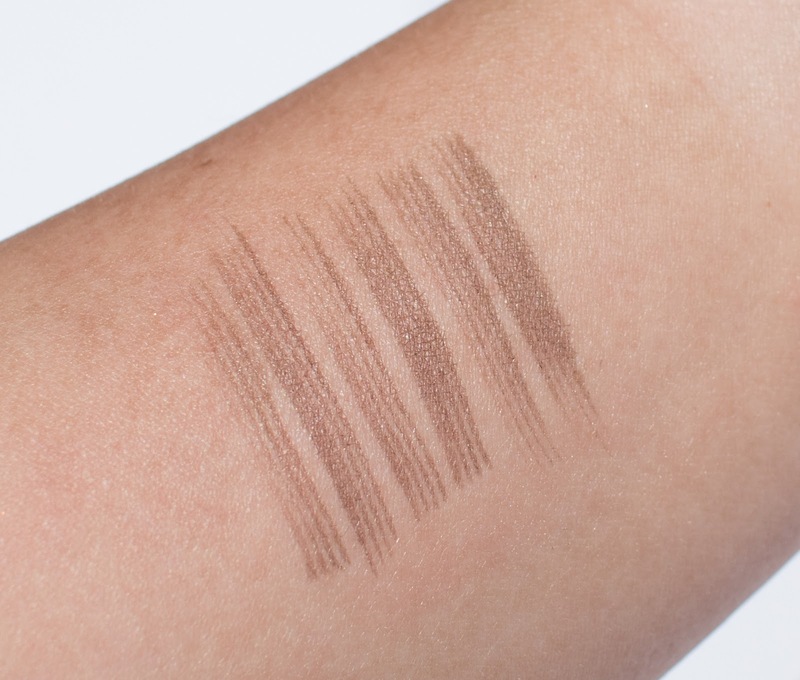 At first, it swatched looking very red toned but it ends up drying down more grey brown. These are the types of strokes you can get with the brush. If you want thinner strokes, you'll hold the brush perpendicular to your skin. If you want thicker strokes, you'll hold the brush more parallel to your skin. I wanted to show a comparison between the strokes from the brush over time and as the brush dries out. Here's the difference after one day. You can see how the strokes aren't as even as they were before because I had to press harder to get the product to dispense. Here's the stain that was left behind after I removed the tint. Here's my brow before the pen and after the pen. I could have done better but I found it more difficult to apply more defined strokes because I felt like the felt tip was already drying out. On me, this Maybelline TattooStudio Brow Tint Pen Makeup is a miss. It can give you the natural hair-like strokes but at the risk of staining your skin green and looking a little more blurred over the day. It's fiddly to get right and I'm already feeling like it's starting to dry out so it's harder to have defined lines. I feel like this pen had a lot of potential but the execution wasn't quite right. I'm much happier with one of Maybelline's other brow products, their Brow Precise Fiber Volumizer (which I hope to get a review up soon). What are you currently using on your brows? Would you ever consider getting microblading done? Disclaimer: I purchased this product myself. All opinions are my own. This post contains affiliate links. I was not compensated for this post. This definitely sounds like a miss for me as well! It's too bad, though– because this would be perfect if it worked well! I know you don't really like the way it ended up looking, but I think your brows look great! I just bought one of these from another brand - curious to know if it will work. I have had my brows microbladed and it's the best but I still want to add some strokes. It's so disappointing when a product doesn't live up to it's billing. This wouldn't work for me. I need more filling in and I'm not a fan of a stain being left behind. It's a shame that this wasn't a better product for you. I'm so glad I got my brows microbladed! Sorry this didn't work out for you. mmmm, why do I want to try it after seeing the pictures? Idk I'm currently using the KVD new powder. It's really good. I know you said it's a miss, but I actually really like the way it looks on your brows. They are defined but still look natural and groomed. I'd try it anyway! So sad that it didn't work for you, I was sp intrigued by that tip! I had microblading done about 6 months ago and I love it! I'm happy to not have to think about doing my brows anymore. Too bad it didn't work for you, it looked promising! I've had very poor experiences with all the brow pens I've tried so far. I like the concept but it never seems to work well for me. I was hoping it would have worked for you. The idea is good though!